You can also set Branding Packages to specific Playlists. These will then not be affected by the currently chosen Default Branding Package. For example you may want to use this if you are using the video platform to host different client’s videos. This way you can simply create separate branding packages for each of your clients while maintaining your own videos with your own Default Branding Package. For more information please visit our Player Branding information page. 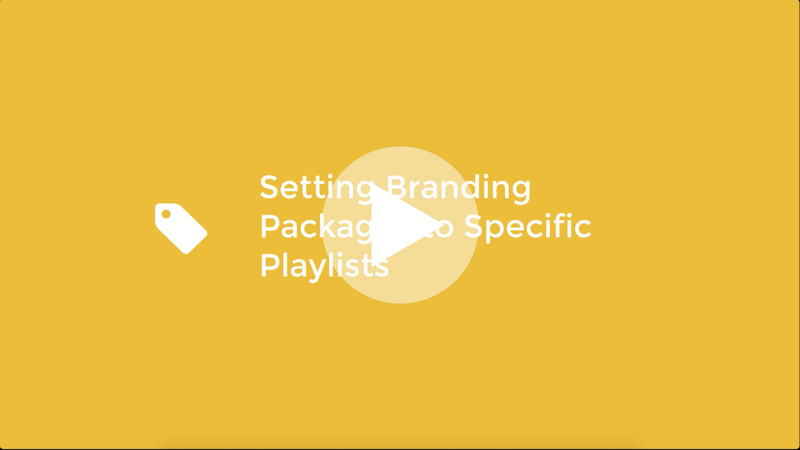 To set a Branding Package to all videos within a Playlist simply click onto the Playlist button in your Media Section. With the Playlist selected click on the Brandings tab in the settings bar. Save your changes by clicking on the green Save button. This will open a popup information box asking you if you want to change the current branding package to your newly chosen one.